Working in a medical office can be hectic as your constantly taking phone calls, performing consults and procedures, speaking with in-house clients and dealing with insurance claims. Should you hire Basetend if you are asking yourself How does an answering service assist the medical office? Hiring Basetend will cost you a fraction of the cost of hiring an in-house receptionist. Therefore, you will have more time making sure the office runs smoothly and it won’t cost you many thousands each year in hiring another receptionist. 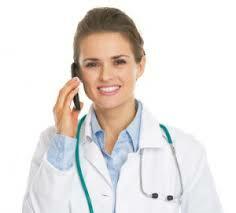 An answering service can provide many benefits to a medical office. Presenting a professional image is essential in the medical industry and with BaseTend, we guarantee you won’t be disappointed. We are a pay as you go service, meaning no monthly plans or yearly contracts. We can handle many services that are generally handled by a personal assistant, secretaries and telephone operators. Having an answering service would be a huge asset to your business because we can answer general questions from your clients, provide information that you would like your customers to know, schedule and cancel appointments, answer the phone with a personalized greeting of your choice, send direct messages to staff, and anything else you would like us to manage. Some specific services we can provide are, we can use your pre-existing online software to make, change or cancel appointments. We can provide outbound phone calls for appointment reminders to prevent miscommunication between your clients and staff. We also operate 24/7, answering every call, every time, whether it’s during or after your business working hours. So quit asking yourself “How does an answering service assist the medical office? And let Basetend show you. Having an answering service would benefit your checkbook also. As mentioned, paying for a receptionist or extra receptionist to handle phone calls can cost a fortune. And since we are a pay as you go answering service providing all those same services as a receptionist, you only need to pay for what you need, nothing more. We are also offering a FREE 14-day trial with no obligation giving you a chance to answer How does an answering service assist the medical office without costing you a penny up front. Give us a call today at 866-970-2263 to speak with one of our friendly agents, and start your free trial so we can show you just how awesome Basetend is.